For a vegetarian world. For people. For animals. For the planet. Founder of Spain's first animal rights organisation, Alternativa para la Liberación Animal (ALA), Francisco has been vegan for more than three decades. On his return to Spain after living and working in Canada for many years, he founded the Spanish Vegan Society, Asociación Vegana Española (AVE) and introduced the word "vegano" into the Spanish language. Fluent in half a dozen languages, Francisco attended his first IVU congress in 1979, at Loughborough in the UK, and has spoken regularly at regional and world congresses ever since. A member of the IVU Council from 1986, he became General Secretary in 1996. 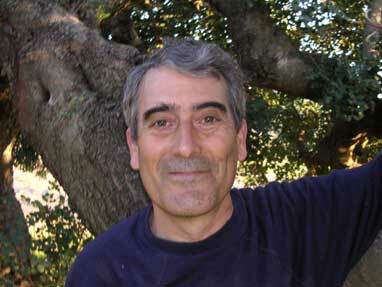 From 1996 to 1999 he edited two magazines: IVU News [in English] and Veganismo [in Spanish]. His articles have been translated into several other languages. A tireless campaigner against bullfighting and all other forms of cruelty and injustice, in 1993, Francisco singlehandedly organised the Seventh International Vegan Festival, held in Tossa de Mar - the first town in Spain to ban bullfighting. As IVU General Secretary, he also had the task of organising the 33rd World Congress, held in Thailand in 1999, the first at which all food was required to be entirely free of animal products, a requirement subsequently enshrined in the rules of IVU. The following year he was made an honorary Fellow of IVU in recognition of his services to the movement. Francisco is a member of council. Veganism in relationship to the exploitation of animals and violence. The struggle for animal rights in Latin countries.